Duplicates!! Stocked up on the BB roll on and Facial Wash! I was strolling around Watson's two days ago shopping for toiletries. 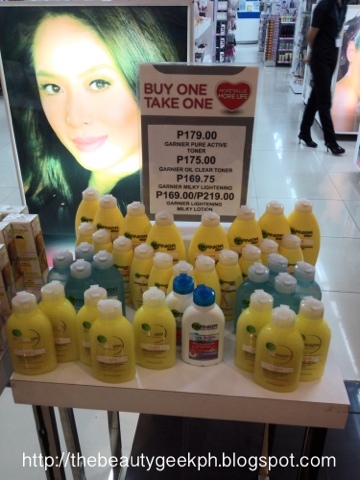 As I was about to have all my items punched I saw a tiny sign on Garnier's Facial Wash that say's BUY ONE TAKE ONE! I immediately asked the cashier if I would still be able to cancel out the facial wash that I originally bought and have it replaced with this one. When I came closer to the rack, I saw that all the Eye Roll On's were also on a Buy 1 Take 1 Promo. Without thinking twice I got the BB Eye Roll-on that I have been eyeing since forever. 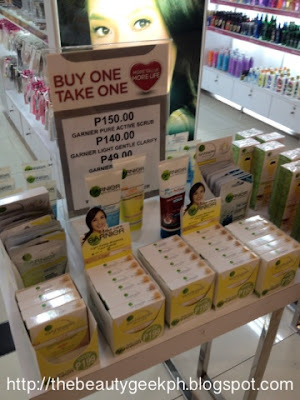 Turns out, all Garnier products are all on a Buy 1 Take 1 promo until the end of February or until supplies last. This chance is hard to pass up since Garnier is a good skin care brand. I took photos of the display using my phone. Imagine, this was in front of the whole store and I manage to just pass by. Good thing I saw it before I checked out all the items I bought. Among the products they offer, the best buys (in my opinion) would be the BB Eye Roll-on, The Toner, Lotion and the Mask. The offer is only good for Watson's outlets only. I'm actually thinking of coming back haha! The promo is just too great to pass up! You girls have until the end of February to avail of this offer. What Garnier prodcuts have you tried so far? I'd love to know! 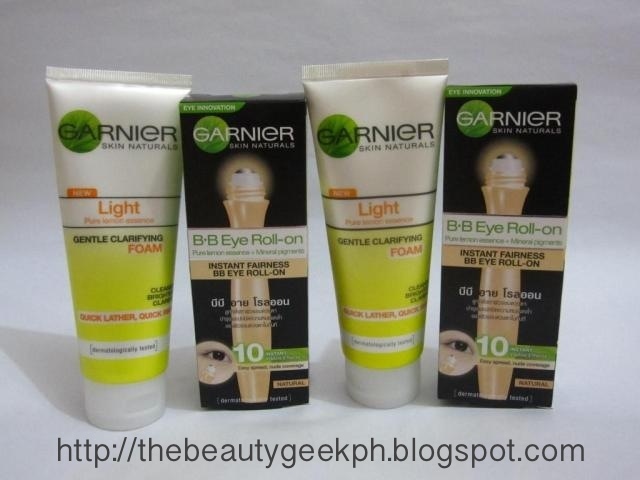 For more updates you may like the official Facebook page of Garnier Philippines. Wow, must try this too! wow thanks for sharing this! 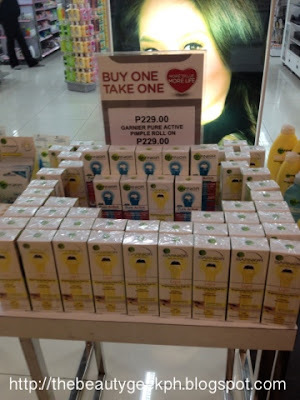 :) i'd like to try those garnier when i get the chance to drop by.